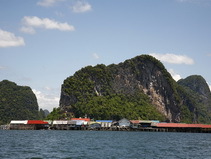 June Bahtra Phang Nga Bay Cruise, Cruise idyllic Phang Nga Bay in serenity and calm, away from the crowds. 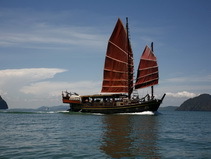 A unique and original discovery of Phang Nga Bay on board a traditional Chinese Junk. 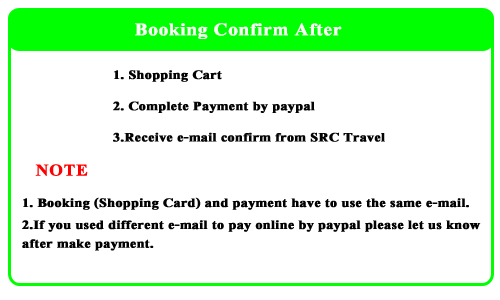 07.30 Pick up from the hotel by air-conditioned bus and taken to Yacht Haven Marina pier to board the June Bahtra. 08.30 Depart from the pier. 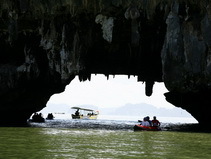 Enjoy breath-taking views as you cruise to Phang Nga Bay. 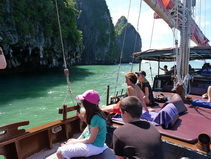 You will later take a longtail boat to visit the Grotto Cave , the mangrove delta, Sea Gypsy Village, and James Bond Island. 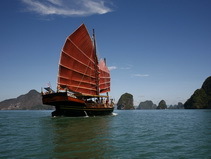 13.00 For Lunch, you will be offered a delicious Thai Buffet on board. You will have an opportunity to swim in the ocean at a nearby island or relax at your leisure. 16.00 Arrive back at Yacht Haven Marina and transfer back to your hotel.